Cemeteries and tombstones are important in genealogical and family research. They make the lives of our ancestors real and remind us that others have walked this earth before us. I have collected cemetery photos and tombstone photos over the years on my research journeys to find my own ancestors and help my clients. I need to share my findings, knowledge and experience of these cemeteries which are scattered throughout the United States. In 2014 I decided to join Find A Grave and have been adding my cemetery photos to that website because at some point this blog may come to an end. 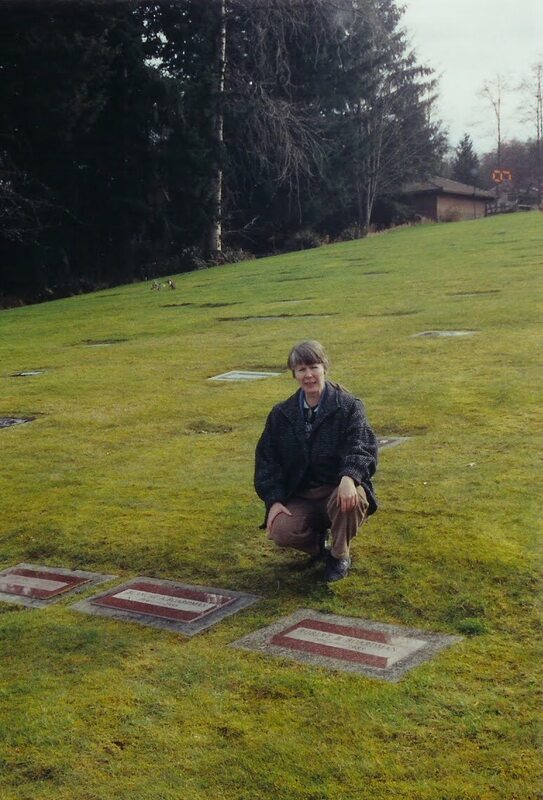 I do plan to make a copy and place the blog book in a repository here in the Puget Sound Area to document these cemeteries. Find A Grave hopefully has a lasting place on the web. I have added a page with a link to my contributions and also at the bottom of this blog for you to access. There is a link to Find A Grave on the side bar as well under Favorite Links. I do not have complete cemeteries in most cases. I was looking for specific ancestors and didn’t always have time in my travels to dally and take photos of all the stones. I found it took about 1.5 hours to take photos of a small cemetery in North Carolina in the hot humid weather. I have been making a list of the cemeteries that I have visited and I am a little surprised at how many there have been. They will show up in the blog links on the right side as I start building this blog. I always like to find a published reading of the cemetery either online or in written form to give me a list of those buried in the cemetery. I then take the photos and that can be a bit challenging when you have a tombstone that is difficult to read. I will talk about the cameras I have used and taking a photo of a tombstone. When you are visiting a cemetery not all are easily accessible and carrying a lot of photo equipment with you can be a real problem. Also it might be a good idea to have someone who knows the area to come along with you. Although you are probably safe in a cemetery that is in a city just keep an eye out if you are alone and make sure you lock your car and have your keys with you. On the whole I have found cemetery offices to be very helpful and accommodating but there are some that are run by large companies and will not be as helpful and refuse to give you information because you are not a family member. Sad but true and you will have to figure out another way to get a photo of our ancestors stone if you don’t live nearby. So far most have been helpful. Cemeteries can be real confusing. I have a pretty good sense of direction but when I get into a cemetery I get confused and if they are a national cemetery with the same repetitive type of stone it can be very frustrating. Most have kiosks and the cemetery office has maps and can help you with the location of the cemetery and getting there. The most important part of visiting a cemetery is to be prepared and do your homework on a cemetery before you go. Ms. Carmack’s book can be a helpful guide. In visiting cemeteries be prepared for the unforeseen events like barking dogs, rain and storm clouds gathering, snakes, overgrown cemeteries, broken stones, and stones that have disappeared into the grown as the grass and dirt build up. You might get to the cemetery and see that some maintenance is needed like cutting away the grass which requires tools and if you are traveling will the airline security allow clippers? There will be lots of links to help you find cemeteries. There will be challenges such as the fact that I still have not found where the McLeod Cemetery is in Montgomery Co., North Carolina. The Montgomery Historical Society doesn’t know about this cemetery and there was an important ancestor of a client buried in it. I do know approximately where it is and have a publication from another county that states it exists. Cemeteries are amazing places and it is good feeling to place your hand on the tombstone that belongs to your ancestor and feel the earth beneath you. I have finally retired completely and at the end of September 2015, I did not renew my dues to the Association of Professional Genealogists http://www.apgen.org/ and also the Puget Sound Chapter of the Association of Professional Genealogists http://www.psapg.org/. So you won't find me there anymore. APG is still a worthwhile organization and if you need help with your family history don't hesitate to contact a member. The Board of Certification of Genealogists is also a good place to go and find a genealogist who is certified to hire. I am past newsletter editor of the Washington State Genealogical Societyhttp://www.wasgs.org/ (WSGS), they have retired their published newsletter and now communicate with a blog. So how do you find me contact me by leaving a comment on this blog and I will find you or find me at bjmcdonell@gmail.com.